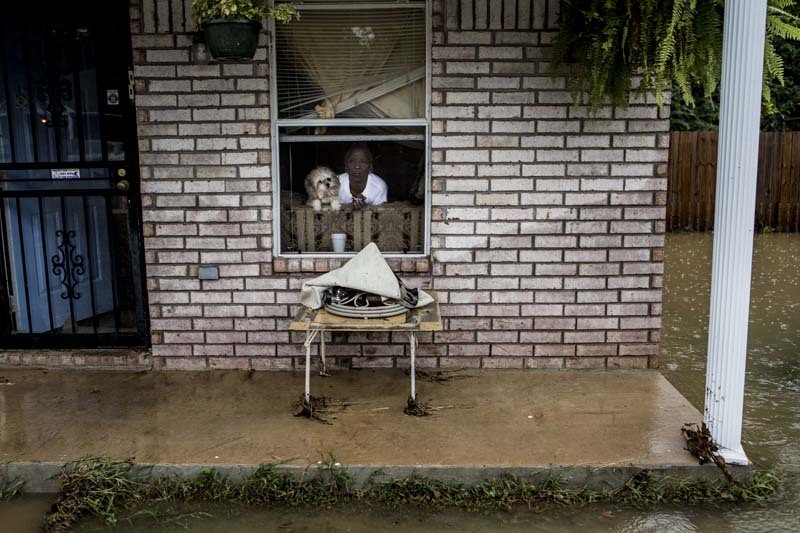 September 11, 2014 - Priscilla Lester and her dog, Niko, watch out the window as firefighters make their way down Mountain Terrace Street in Frayser after flood waters came up into homes along Mountain Terrace during heavy early morning rains. Lester has lived in the home since 2003 and says this is the fourth flood that has affected the home. Lester was one of the few residents that was going to stay the night in her home after the flooding saying that she's not afraid and that she has a shotgun just in case.